So, you want to dress up as everyone’s favorite captain of the Planet Express ship? Awesome choice. Most of the costume is rather straight-forward, but you’re going to need to get a few things to really pull it off. This guide will help you be the best Leela you can possibly be. First and foremost, you should probably be female, or look good in drag. Also, it helps to be a cyclops. Ok, so you probably aren’t a cyclops. You’ll have to fake it. This will probably require the most crafting skills of the whole costume. That said, it’s still rather simple. 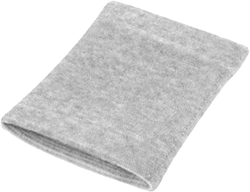 Get some of this foamy shelf liner stuff (or maybe you already have some). Cut it out in an oval, so that it is large enough to cover both of your eyes. Use some elastic string to tie it on to your head. Voila! You are now a cyclops. 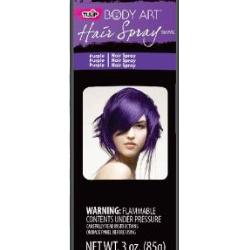 If you’ve already got reasonably straight or slightly wavy long hair, then just buy some purple hair spray, put it in a pony tail, and you’re done. If you don’t have the right hair, you can always get a nice cheap purple wig and put that in a ponytail. It really doesn’t get any more straight-forward than this. If you don’t already have one, get a white tank top cut similar to Leela’s and tuck it in to your pants. 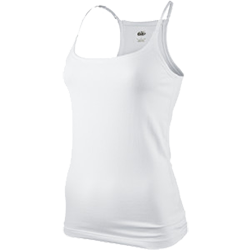 Just like the tank top, this is a pretty easy find and you may even already have a pair in your wardrobe. Just make sure they’re pants and they’re dark gray. 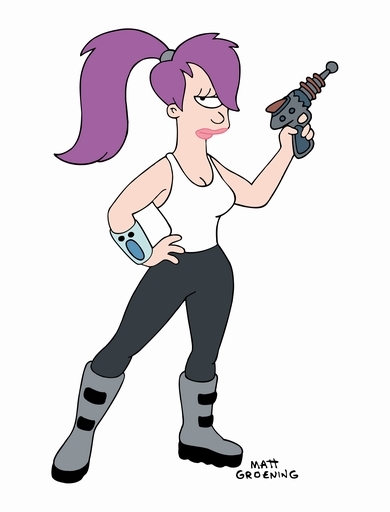 Leela’s pants are plainly drawn, so if you want to be imaginative and think that she seems like the type of spaceship captain who would wear cargo pants, go for it. Again, pretty simple. It’s going to be tricky to find an exact match, but any boots that are close should do the trick. Added bonus: If you live in a cold climate, these will come in handy next time it snows. Make sure they’re a lighter gray than the your pants. Pick up a gray wrist band, then grab some sharpies and color it to match Leela’s. If you’re really crafty, you could probably do something cooler, but I’ll let you figure that out. 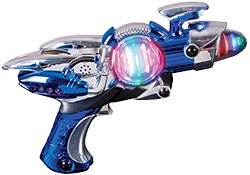 No Planet Express captain should leave home without a blaster; For self-protection, of course. Leela: So your name is Lord Nibbler? That’s a coincidence. 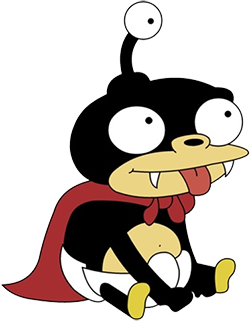 Nibbler: That name is for your sake. In the time it would take to pronounce one letter of my true name, a trillion cosmoses would flare into existence and sink into eternal night. Well, there you have it! If you have any suggestions, changes, or wish to share a picture of your version of Turanga Leela, please feel free to leave a comment.